Inspired by the Chelsea Flower Show, the team at Secret Escapes have come up with these ten ideas for a leafy green weekend break away. 1. Villa Lante, Italy One of the most stunning examples of Italian renaissance design, the Villa Lante gardens are the work of Cardinal Gambara, who had a modern taste for outdoor living and eating al fresco. From £232 / per person for 2 nights (saving £116 per person) Offer includes two nights in a Superior room, buffet breakfast, early check in from 11am and late check out till 4pm, 25% discount on the a la carte menu at the restaurant (excluding beverages), one afternoon tea for two in the Polo Lounge, two complimentary tickets to Vittoriano Museum Art Exhibition, transfer from Duke Hotel to Piazza del Popolo (from 8am until 11.45pm) and return flights from your selected departure airport to Rome. Book by 31st May 2014. Available select dates May to September 2014. 2. Château Versailles, France The grand home of Louis XIV, the exquisite Versailles gardens represent the heights of monarchal decadence and excess. From £146 / per room per night (saving £40 / per room per night) Offer includes accommodation in a Deluxe room and breakfast. Book by 31st May 2014. Available select dates July to August 2014. 3. The Majorelle Garden, Morocco Wander through Yves Saint Laurent’s gardens in Marrakech, combining lucious species, art deco design and a fine eye for colour and detail. From £71 / per room per night (saving £46 / per room per night)Offer includes accommodation in a Superior room, continental breakfast, welcome tea and Moroccan pastries. Book by 31st May 2014. Available select dates May to September 2014. 4. Ninfa, Italy Blooming from the sacked ruins of an ancient Medieval town, these botanical gardens are a half hour drive from the capital and among the most serene and beautiful sanctuaries in the world. From £86 / per room per night (saving £24 / per room per night) Offer includes accommodation in a Classic room, American buffet breakfast and 10% discount at the Granet restaurant. Book by 31st May 2014. Available select dates June to September 2014. 5. 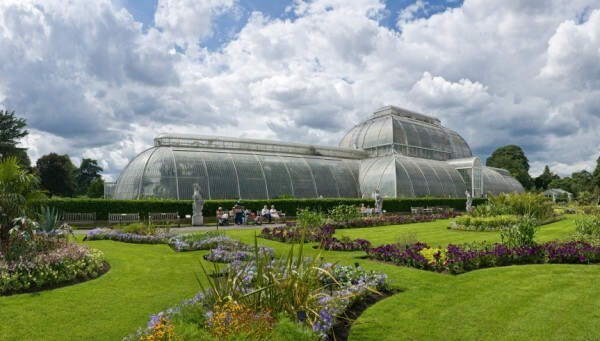 Kew Gardens, London The Royal Botanic Gardens features 121 hectares of gardens, botanical glass houses and a beautiful orchid sanctuary, the perfect destination for a summer stroll. From £129 / per room per night (saving £89 / per room per night) Offer includes accommodation in a Deluxe room, continental breakfast, welcome drink and VIP Westfield shopping pass. Book by 31st May 2014. Available select dates May to September 2014. 6. Sanssouci Palace, Berlin Surrounding the former summer palace of the King of Prussia, Frederik the Great, the Sanssouci grounds are splayed out in an intimate Rococo style, and were counted as a rival to the French Versailles. From £94 / per apartment per night (saving £122 / per apartment per night)Offer includes accommodation in a Studio Premier Apartment, minimum two-night stay is required, breakfast, Wi-Fi access and 10% discount in the bar and restaurant. Book by 31st May 2014. Available select dates June to August 2014. 7. Dumbarton Oaks, Washington Often featuring sculpture and artwork from a variety of famous artists, Dumbarton Oaks blends stunning natural landscaping with contemporary touches of modern design. From £1099 / per person for 6 nights (saving £200 per person)Offer includes three nights in a Standard room at the Omni Shoreham Hotel, Washington DC, room-only, a bus tour of Washington DC, three nights in a Standard room at The Belvedere Hotel, New York, room-only, New York water taxi pass, Dine4Less card, return flights from London Heathrow to Washington DC, shared transfers and Amtrak train between cities. Book by 31st May 2014. 8. The Alhambra, Spain The Alhambra fortress boasts a fabulous water garden and is considered one of the great architectural sights of Europe, celebrating Moorish art and encapsulating Andalusian history. From £399 / per person for 5 nights (saving £200 per person)Offer includes five nights in a Double Side Sea-view room, half-board basis, return flights from your selected departure airport to Malaga, Spain and shared transfers. Book by 31st May 2014. Available select dates May to November 2014. 9. 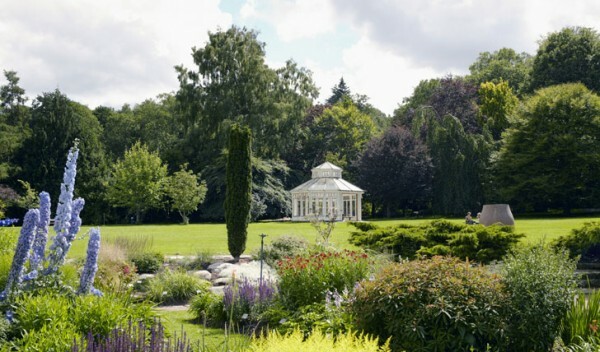 Gothenburg Botanical Gardens Along with one the finest collections of wild collected Japanese plants in Northern Europe, the botanical gardens’ greenhouses are home to about 4,000 species, including 1,500 orchids. From £99 / per room per night (saving £80 / per room per night)Offer includes accommodation in a Standard Premium room, breakfast and 10% off at Restaurant Incontro (food only). Book by 31st May 2014. Available select dates June to August 2014. 10. Hampton Court Gardens This 60 acre estate runs its beautiful grounds down to the River Thames, featuring wonderful formal gardens and species planted by the famous landscaper Capability Brown. From £149 / per room per night (saving £54 / per room per night)Offer includes accommodation in a Superior room, continental breakfast, a non-alcoholic welcome drink on arrival, champagne and Canapes between 7-8pm, daily newspaper and complimentary Wi-Fi. Book by 31st May 2014. Available select dates June to September 2014. Disclosure – these details come from the team at Secret Escapes.